You now have more fun with this 9 pack plus 3 BAG for FREE. No less than 5.5 liters of smooth massage gel for a friendly price. Enjoy doing together with Nuru Pleasure gel. maybe your mind wanders quickly for something exciting and sensual. The body of your partner looks again to steal. By purchasing of one of the Nuru massage powder from the range here at Nuru Netherlands you make sure that you in no time can make a massage gel that is not only warm and playful, but moreover it will make your body feel much softer. In this way, that one massage will be so much more intense and who knows what will bring the rest of the evening! 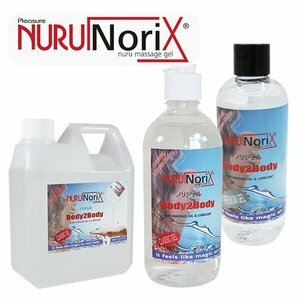 Choose to purchase the NoriX Powder here at Nuru Netherlands ensures that you can count on several interesting advantages. Initially, of course you dispose of a massage gel that is a real virtue for the skin for the best price. In addition, this massage gel is very easy and, moreover, very quick to make ready for use. As with the other products Nuru is the case, it is also, of course, completely odor and tasteless. Moreover, the Nuru Gel can by opting for warm or hot water, be prepared at your preferred temperature. Would you also can enjoy the unique advantages of the Norix Raw?Do not hesitate not a moment longer and order them here at Nuru Netherlands today! How do you proceed to make this fantastic Nuru Gel? In this example, we assume that you are going to make 500 ml Classic Nuru Gel. For more tips and tricks please read on for more possibilities with this Nuru powder Gel! 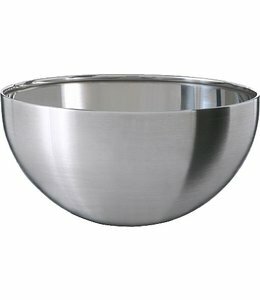 Fill for example a spacious glass bowl with 500 ml of warm to hot water. Begin stirring quietly with a wooden or plastic spoon (no metal) and add the 5 grams Nuru powder fairly quickly to the hot water while stirring for about 1 minutes. Be sure that the Nuru powder is evenly distributed over the entire surface of the water and empty the packet not at once!! Again add the powder fairly rapidly and do not wait until the gel has become thicker, this in order to prevent small lumps. If you have done the above wait for 5 minutes. Let the Nuru Gel do its job. You can already take a hot shower in order to get in the mood ;-) After 5 a 10 minutes the Nuru Gel is clear and ready to use and you can start enjoying a delicious Nuru Massage and you will thereby experience beautiful intimate moments with your partner. The Nuru powder gel works the same as the ready-made Nuru Gel and works the best on a wet body and a slippery surface. See the YouTube video we made for you! Here we make step by step the Nuru Gel from the powder. We do this with the 5 gram packet and 500 ml of hot water. TIP! This Nuru Gel as powder is also ideal for when you are going on vacation! Very much Nuru Gel in a small jar! Bring a plastic sheet to cover your hotel bed and experience the Nuru Massage time and time again! SUCCESS GUARANTEED!! Mix on our advice, then add no more water. Learn how to purchase this product works. Of course. Experience the massage alone or with your partner, you will be amazed by this product. NoriX RAW is produced in the Netherlands according to the EU cosmetic requirements.